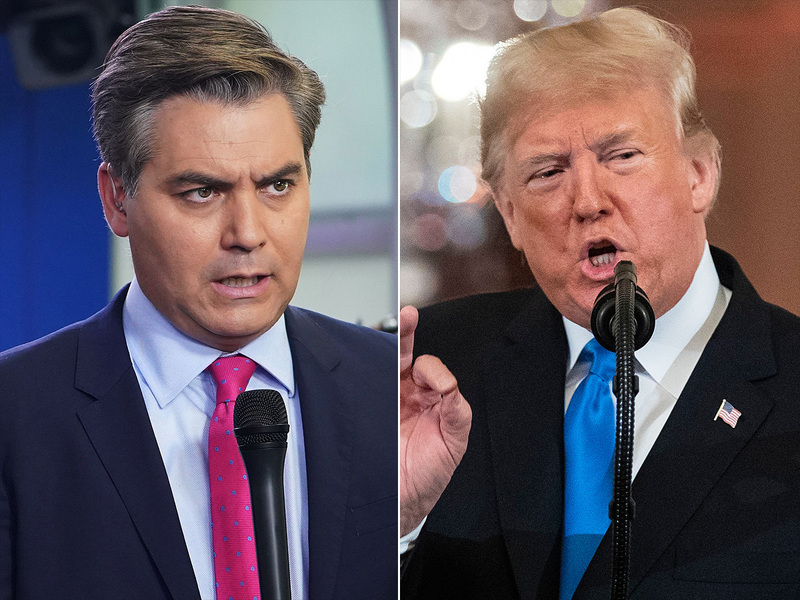 I have just been going over once again video footage of the exchange between CNN reporter, Jim Acosta and President Trump, which included a minor skirmish between Acosta and a White House intern, leading to Jim Acosta’s press pass revoked, raising various controversies e.g. did he, didn’t he; should he, shouldn’t he. I don’t believe Acosta assaulted the intern, but it did look like he touched her by way of resistance when she tried (imo rightly) to take the microphone from him. I saw no doctoring of the video evidence, and what was said to be doctored was close up footage of what actually took place. As for the ban, it was the right thing but the intern should not been put in an awkward position. After being ask to stand down several times and ignoring the President, Acosta should have been escorted from the premises by security guards. I have no problem the press asking difficult questions (that is its role after all) but having (provocatively) challenged the President on his use of language when describing the column seeking to come into the country over the USA southern border, he would have done better to ask the President to justify his language and actions rather than use this as yet another opportunity to engage in confrontational grandstanding, something he has done many times previously. As in comparable settings, having been given a number of bites at the cherry, one should accept it when the chairman etc. moves onto other questioners. This is something, having chaired many meetings, I do. I expect respect and relevance and do not tolerate disruption, especially when it is repeated. The fact that Acosta stopped the intern doing her job was imo the final nail in his coffin. The hysteria being displayed by other elements of mainstream media is one I regret. It is quite evident that many elements of the MSM are fake, i.e. reporting stuff that fits their narrative and ignoring that which doesn’t and sometimes distorting the facts. While Trump’s confrontational style is not one that many approve of, it is understandable in the circumstances. Jim Acosta was out of order and the revoking of his press pass was probably overdue given past misdemeanors. I say kudos to POTUS! Update 16/11/18: One of today’s news is “Judge: White House must return CNN’s Jim Acosta’s credential“, which I found disturbing especially in the light of this reminder. btw: as stated above and contrary to the meme – Acosta did NOT grab anyone but the hypocrisy of the press is astounding and the decision of the judge was unjust for the reasons I gave above – opens the door to people who won’t behave respectfully.